​Bella was a perfect angel and we place in the Top Ten overall! This was the first time we performed our new freestyle by Karen Robinson. 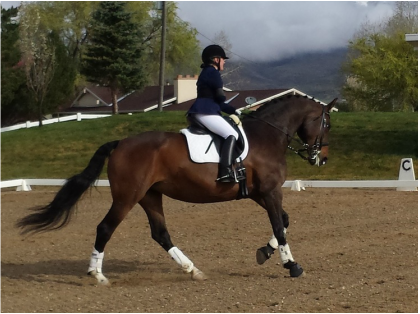 We earned a 73.3% in the $1,000 Freestyle Challenge, winning Reserve Champion and $300! 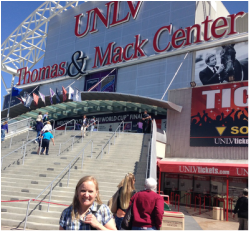 April 25, 2015. 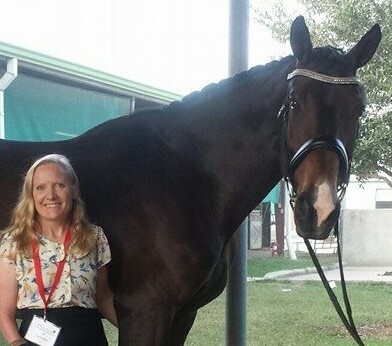 Bella and I scored a 71.2% on the FEI Grade III Individual Championship test. 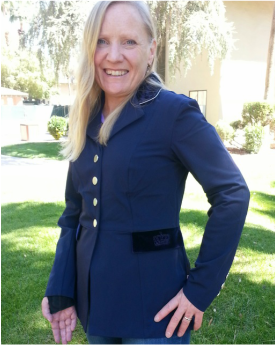 What a beautiful show jacket from Arista Equestrian! 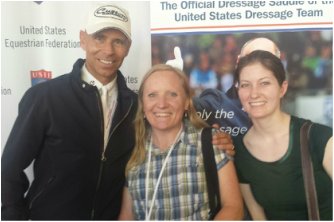 It was so great to see Steffen Peters again at the Custom Saddlery booth. We are both sponsored by Custom Saddlery. I fell in love with my Wolfgang Solo saddle the second I tried one! It instantly improved my riding by helping to place my leg and seat in the correct position so I wasn't fighting my body all the time. The buffalo leather really helped to keep me in place too. 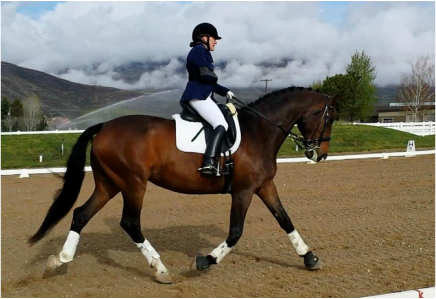 I am now able to concentrate on other ways to improve my riding, and my horse felt the diffeernce too. I highly recommend this saddle! 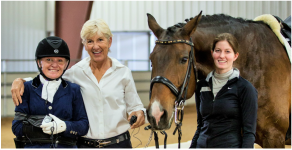 A thousand thanks to Kelly and Mike at CEECOACH, and Frann from Arista for listening to my story and immediately deciding to sponsor me with their products! 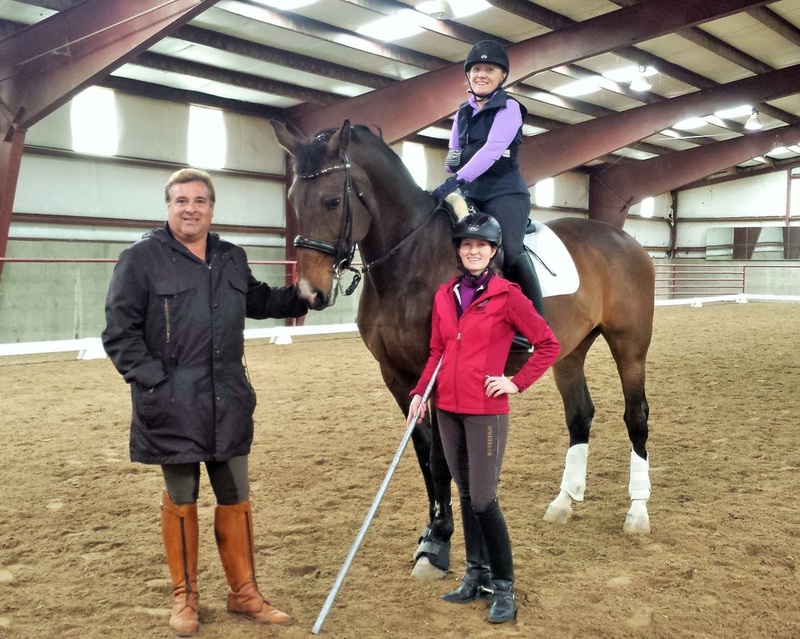 The show jacket is fabulous looking, comfortable, and machine washable. 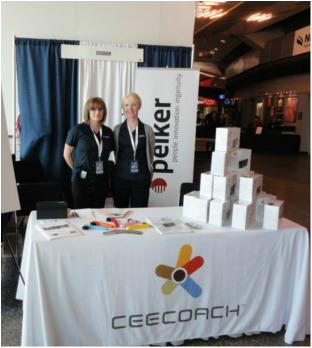 The CEECOACH is easy to set up, lightweight, and will eliminate the cross signals we always get at busy shows with our other communication system! 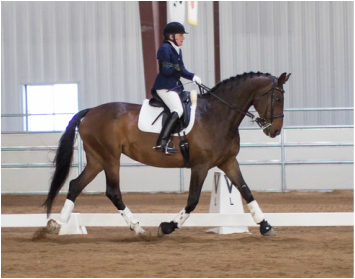 March 21, 2015 Bella and I won High Point of the show with a score of 70.39% on the FEI Grade III Team Test. February 21, 2015. 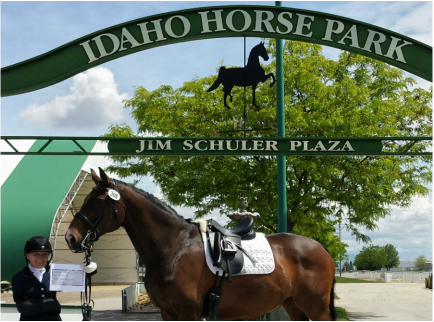 Bella and I won High Point of the Show with a score of 69.5% FEI Grade III Para Equestrian Test. 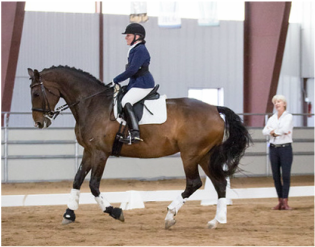 January 24, 2015 Bella and I won High Point of the day with a score of 75.1% on the FEI Grade III Para Equestrian Team test. 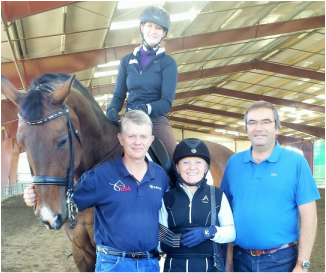 Annie, Bella and I attended the Alfredo Hernandez Clinic at Kimball Ranch.